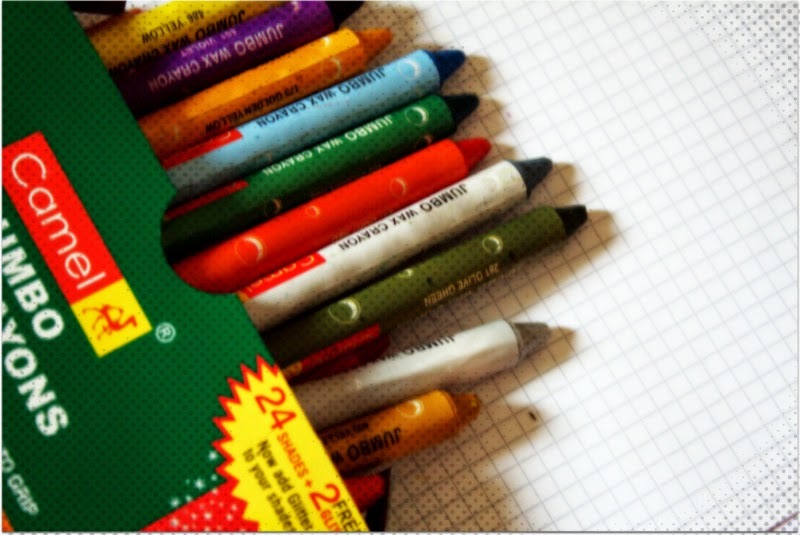 Is your little one in love ♥ ♥ ♥ with crayons ? Are the walls of your house, now, canvas for your budding artist ? 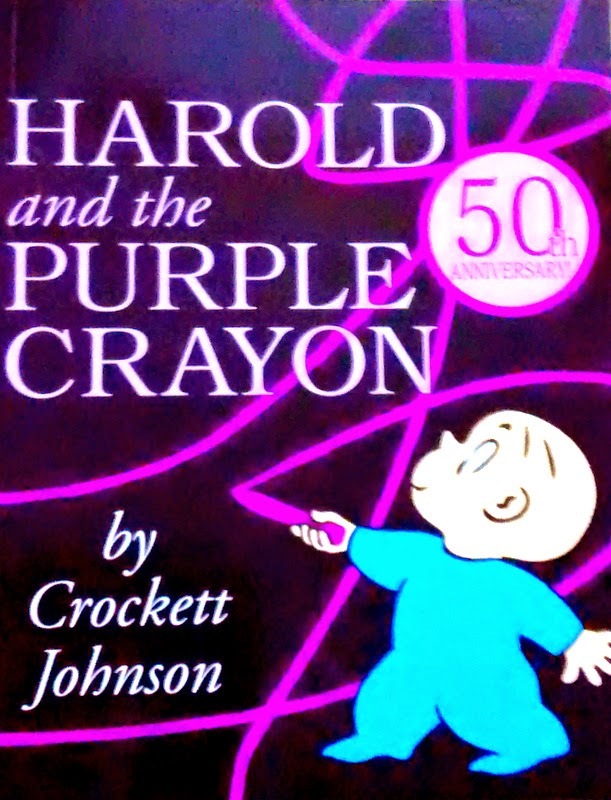 Harold loves his Purple Crayon. One evening he decides to go for a walk in the moon light. 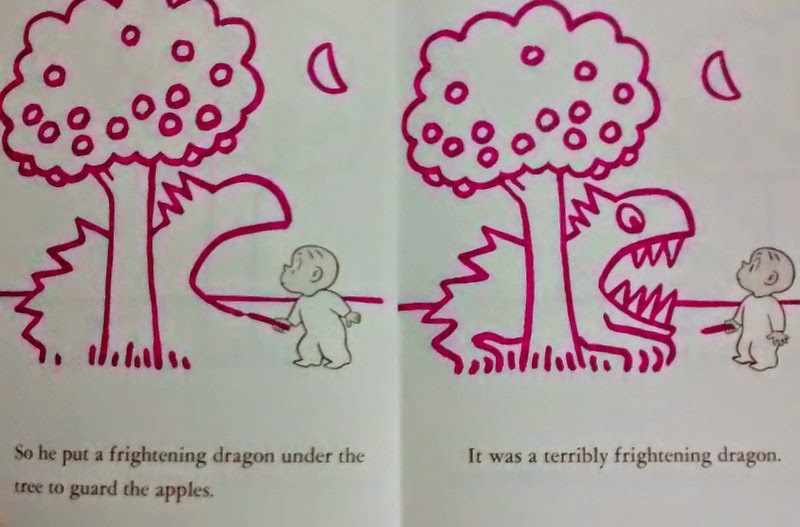 He draws anything that he thinks 'needs to happen' with his Purple Crayon. He draws the moon and a straight road to follow and sets off on his adventurous journey. He draws what he desires and sometimes falls in difficult situations. He is a smart child and draws his way out. When Harold found himself drowning in the ocean, he quickly drew a boat, climbed on it and sailed off. He comes across a forest, is frightened by a dragon, enjoys a picnic on the beach and has many more adventures before he returns home and falls asleep. This book is a wonderful way of exploring the powers of imagination, quick thinking and perseverance. It encourages the child to think creatively when faced with problems. After reading the book, there are a lot of parent- child activities that you can do with your child. On a big drawing paper both of you can take turns to draw. Say, you draw a mountain,"It is the highest mountain in the world". Your child adds some more details.He draws a boy with a bag pack "This is me, I want to climb it". Go on and spin an amazing story together !!! What is your child's favorite color ?